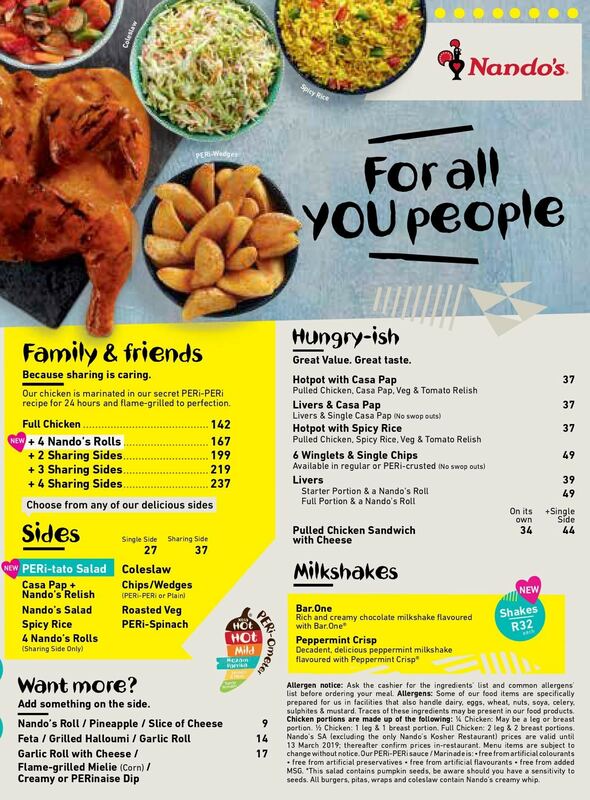 Browse Nando’s South Africa Menu for 2019, and Delivery Menu & Specials. Don’t miss the Nando’s restaurant specials, menu offers, promotions & discounts. – More South African flavour – 1/2 Chicken + any Single Side for only R92.00. 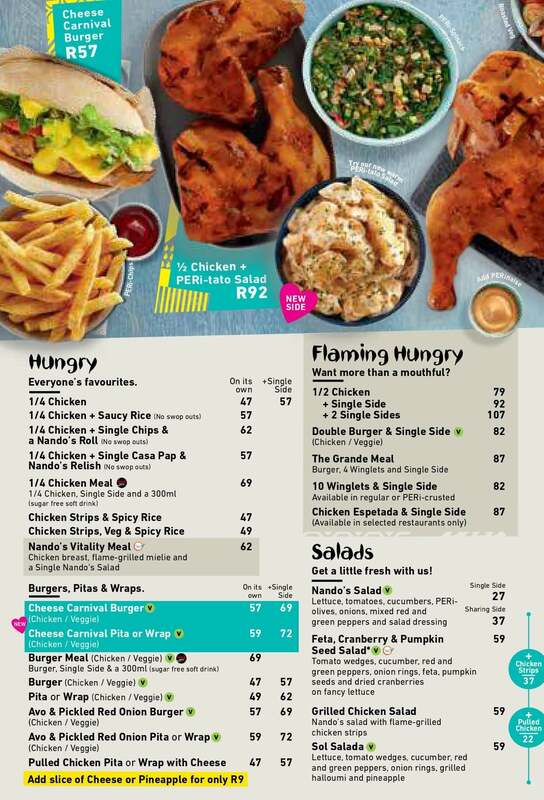 – Full Chicken + 2 Sharing Sides for R199 – Get Full flame-grilled chicken with 2 sharing portion sides of your choice. The menu includes 1/4 Chicken Meal, Full Chicken and 2 Sharing Sides, 1/2 Chicken and any Single Side, Chicken Strips, Winglets, Pulled Chicken Sandwich, Chicken Burgers, Chicken Pitas or Wraps, Salads, Strips & Chips, and more.